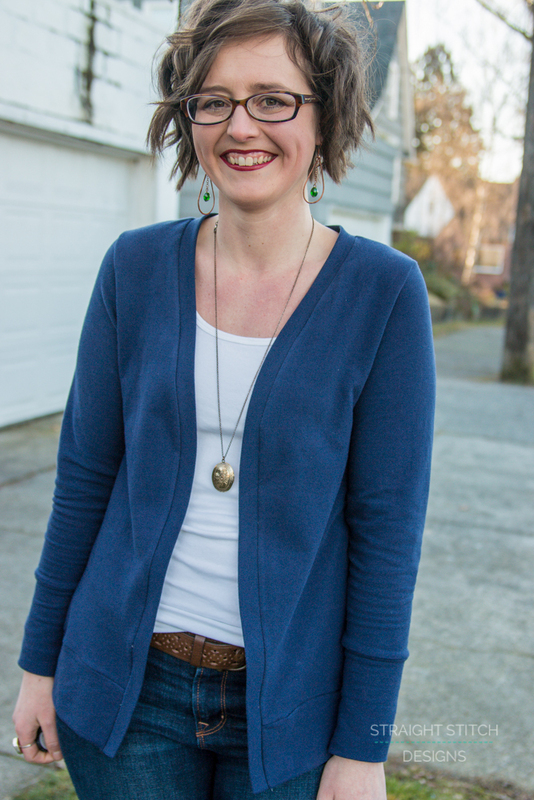 A classic cardigan is a staple in my wardrobe and to finally have a pattern that allows me to customize it is wonderful. 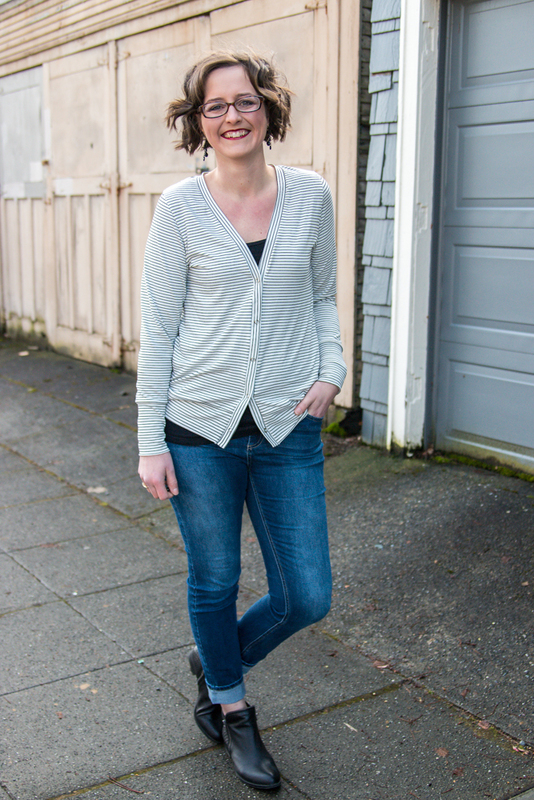 Phinney Ridge really is classic meets comfort and is sure to become a staple in your wardrobe as well. 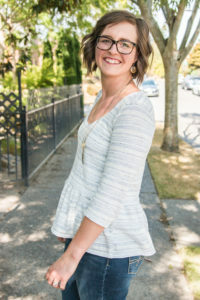 When designing this pattern I wanted to add a couple more modern details to the pattern while still keeping the classic lines you expect from a cardigan pattern. Phinney Ridge has a wider cuff and bottom band and thanks to a wonderful suggestion by some testers, it also has 3/4 sleeves and elbow patches. Great details that set it apart from other cardigan patterns available. 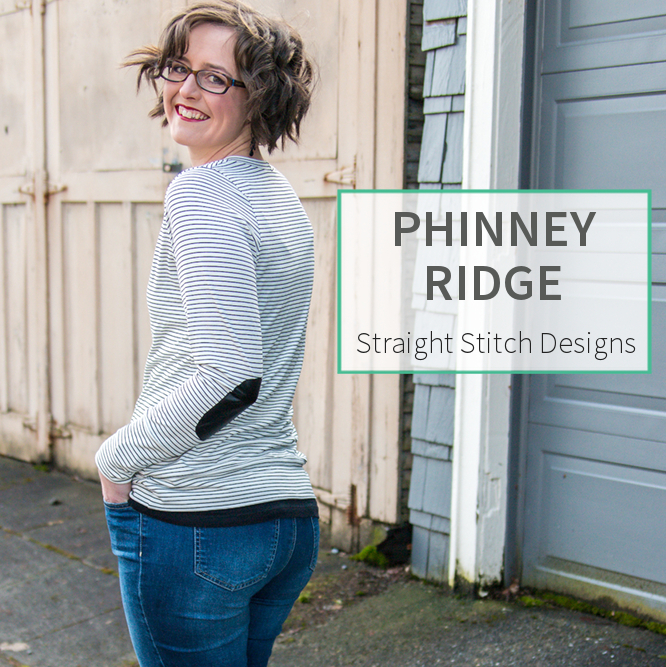 Phinney Ridge can be sewn in a huge variety of knits including but not limited to french terry, cotton lycra, sweater knit and jersey. But don’t worry if your favourite knit isn’t listed, as long as it has stretch you can definitely use it. Let me show you more of this pattern. As I mentioned above this pattern includes optional elbow patches. 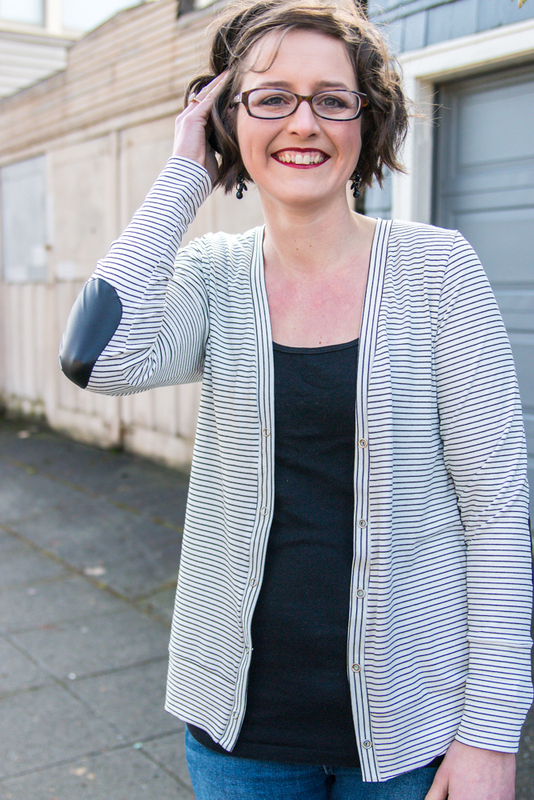 It was such a fun way to add a little pop to my striped cardi with faux leather elbow patches. The pattern is drafted to hit your body at mid hip, but if you would prefer your Phinney Ridge to be longer or shorter there is a full page of altering instructions to help you with that. I love the mid hip length, but a few of my testers did full hip length and it looked amazing. I will be sharing a full tester roundup on the blog tomorrow so just wait until you see these amazing versions. This cardigan has the option to add buttons, snaps or even leave it open. I sewed up this version in french terry and just loved the way it looked without any closures. And the long sleeve cuffs are such a fun detail to the pattern. The pattern is drafted for a height of 5’9″ but don’t worry if you aren’t that tall. I provide a full page of alteration information that includes links to additional blog posts to help you get the right fit. 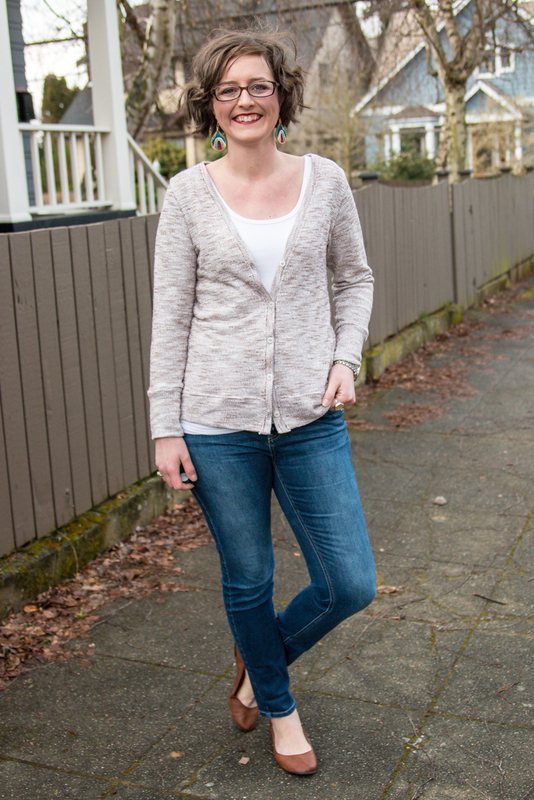 This pattern really fills a hole in the indie pattern market for a classic cardigan with clean lines and easy construction. The pattern is available in sizes 0-24 and nested in a way that makes it easy to grade between sizes. The pattern is marked down to $8 through Friday so grab your copy now.